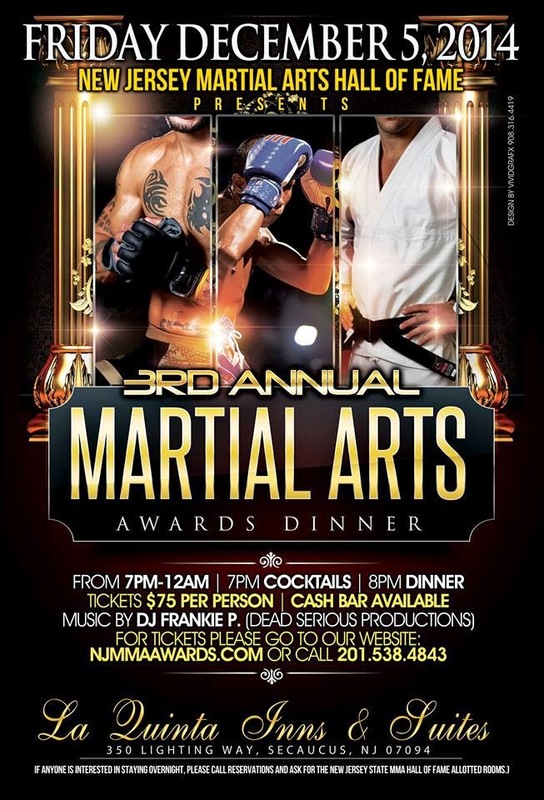 The annual New Jersey Martial Arts Hall of Fame awards dinner is Friday night, and though I won't be attending, I'll be there in spirit. Notable honorees this year include UFC fighters Chris Weidman, Dan Miller and Nick Catone, a badass cageside physician in Dr. Steven Oxler, Frankie Edgar's boxing coach Mark Henry, and MMA pioneer Chris Ligouri. The full list of inductees is below.